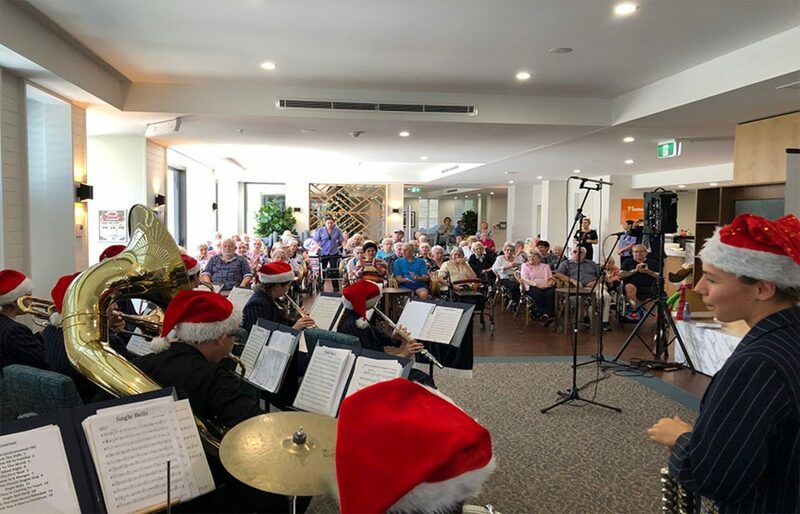 Once again, selected band members and the Year 11 Carol Singers from Sheldon College performed a series of Christmas Concerts at different aged care facilities and hospitals throughout the Brisbane region. These concerts took place from the Bayside to Brisbane at the Lady Cilento Children’s Hospital, Royal Brisbane and Women’s Hospital, Redlands Residential Care, Seaton Place Aged Care, Oak Tree Retirement Village and Wellington Manor for many of the patients, staff and visitors. The carols were enjoyed by many with the students receiving warm welcomes from all in attendance. “My daughter, who has very complex health conditions and is under Palliative Care frequents the hospital for appointments and for treatments,” said one of the appreciative audience members at the Lady Cilento Children’s Hospital, in an email to College Principal and CEO Dr Lyn Bishop. “During these times she endures countless invasive medical procedures so understandably going to the hospital is often met with anxiety, but not today. “Today when we arrived at the hospital we were delighted by the beautiful sounds of your students,” she continued. “So, thank you for taking the time to brighten the days of chronically ill children like my daughter. “Your students made our usual monotonous hospital experience a delightful one. “We appreciate it more than you can ever imagine,” she added. 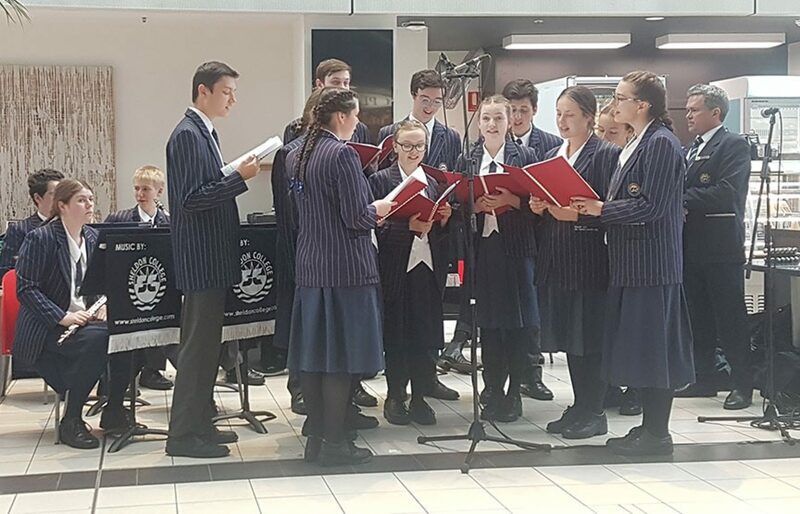 The crowds were treated to an array of carols and joy and showed much appreciation in response to the student’s wonderful performances. The students of Sheldon College will continue to do all that they can to help improve the lives of those who are less fortunate than they. “We are honoured to hear that in some small way we may have lightened the day of these families who make incredible sacrifices and give so much every day,” stated Dr Lyn Bishop.